At 2017, on the market today, when people talking about facial steamer…the name about KINGA Nano Ionic Facial Steamer surely in their conversation. 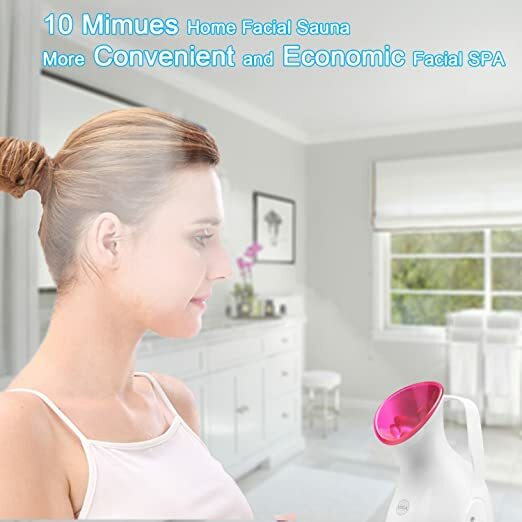 This product made itself to be the top notch at home facial steamer. And its price is very competitive in the market today. This facial steamer can produce the steam about 10 minutes until it runs out of water. Essential oils can’t be used with this product…if you use those essential oils, this steamer can’t be last long…only pure water is accept (use purified or distilled water only). The water tank can hold 60ML water a time. KINGA Nano Ionic Facial Steamer can’t adjust the amount of steam, just only on/off buton. Because the water amount of a full tank is just suitable for a facial spa once. Using this one just 2 times a week, not more than 20 minutes once. 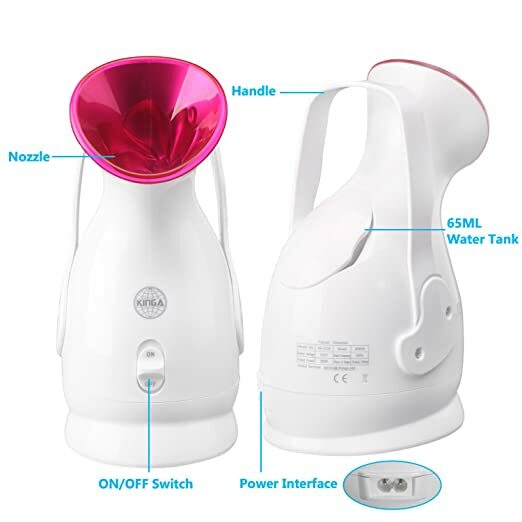 This facial steamer can switch off automatically once the water is over. It last for about 10 minutes then it stops, there’s still a switch you have to cut off as well. It has helped my adult acne so much.